It’s no fun going through the day sleepy. Each hour drags on and getting motivated or being productive is nearly impossible when we’d rather be dreaming. What’s worse, for many, actually falling asleep at night is a struggle. More than one-third of adults in the United States experience occasional sleep problems and one of every ten suffer from chronic insomnia. Many treat their insomnia with medications but this can be dangerous. A study published in the Canadian Journal of Psychiatry found that taking medications for insomnia or anxiety at least once a month increases your risk of death by 36%. This was a 12-year study that included over 14,000 people. Alarming! These addictive drugs affect your reaction time, alertness and increase falls, inhibiting your central nervous system, thus affecting judgment and even increasing the risk of suicide. Not only that, this study found that insomnia medications aggravate breathing problems during sleep. But don’t panic, there’s rest for the weary that comes in the form of natural alternatives and implementing safe, healthy habits. Sleep disorders are common and serious…but their treatable! Unlike pharmaceutical drugs, herbal sleep remedies don’t have side-effects. Try a glass of chamomile tea (or a Sleepy Time blend) 15 minutes before bedtime. These teas contain natural sleep aids like valerian, lemon balm and passionflower. Try simple breathing exercises. Simple things like deep breathing, visualization and muscle relaxation can lower stress hormones and anxiety. You can download audible, guided instructions for these online. Get your exercise. Studies have shown that exercise can be as effective as prescription drugs for promoting restful sleep. Consistent exercise is essential for controlling stress, depression and healthy sleeping habits. If you exercise outdoors, you’ll be benefiting from the sun light, which regulates melatonin production needed for better sleep. Make your bedroom tranquil, like a spa. Clear away the clutter and make this room exclusively for sleep. Decorate with calming colors and fabrics and ban television and computers. Avoid food and caffeine. Plan not to eat at least three hours prior to bedtime. If you need an after dinner snack, have a small handful of almonds or a fresh fruit. Limit caffeine intake to the morning hours, and to two cups a day. Acupuncture and yoga have also been shown to improve the quality of sleep. Ask me more about this! Did you know that reduced or not enough sleep has been associated with weight gain and obesity in both children and adults? Wow! So, not only is getting a good night’s sleep essential to functioning properly and performance, but it effects they way we look. O.K., time for bed! *Always consult and health care professional before beginning or discontinuing any supplements or medications. This country consumes more sweetener made from corn than from sugarcane or beets, gulping it down in soft drinks and juice, as well as in packaged foods and baked goods. Popular items like bread, spaghetti sauce, breakfast cereal, ketchup, pickles and barbecue sauce are laced with high-fructose corn syrup, the most common added sweetener today. According to the U.S. Department of Agriculture, we consumed almost 63 pounds per person, per year of high-fructose corn syrup in 2001, and today that number has shockingly risen to 129 pounds per year. It’s made by milling corn to produce corn starch, then processing the starch to yield corn syrup, which is almost entirely glucose. Enzymes are then added that convert some of the glucose to fructose. Almost all nutritionists identify high-fructose corn syrup consumption as a major culprit in the nation’s obesity crisis. So why are we using so much of it? It’s incredibly cheap! Sugar is twice as expensive as high-fructose corn syrup. The inexpensive sweetener flooded the American food supply in the early 1980s, just about the time the nation’s obesity rate started its unprecedented climb. What a coincidence! Given how ubiquitous high-fructose corn syrup has become, and the misleading television commercials funded by its producers that may have fooled some of us, some people are becoming aware and concerned about possible adverse health effects. Researchers at Princeton University found that high-fructose corn syrup prompts considerably more weight gain. A study demonstrated that all sweeteners are not equal when it comes to weight gain: Rats with access to high-fructose corn syrup gained significantly more weight than those with access to table sugar, even when their overall caloric intake was the same. In addition to causing significant weight gain in lab animals, long-term consumption of high-fructose corn syrup also led to abnormal increases in body fat, especially in the abdomen, and a rise in circulating blood fats called triglycerides. The researchers say this work sheds light on the factors contributing to obesity trends in the United States. 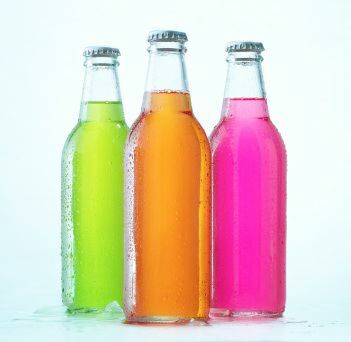 The steady increase of high-fructose corn syrup into our diets has effected our perception of flavor and is contributing to our overall intake of empty calories, and sugar addiction. Other health concerns lie in the quality of the corn being used to produce the finished product. Usually high-fructose corn syrup is made from genetically modified corn that has been exposed to pesticides, which come with their own well-documented side-effects and health concerns. Yuck! 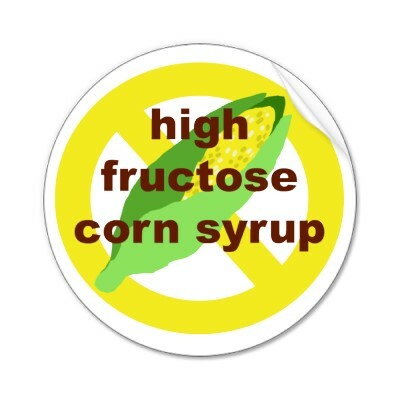 Recently, I made it my personal goal to avoid eating foods that contain high-fructose corn syrup. This plan proved much harder than I thought. Reading labels was enlightening. I found that nearly everything on the shelves of the grocery store contains some form of hfcfs, including some items labeled as “natural foods.” You’ll find it on the labels of everything from salad dressings to protein bars, even most fat-free coffee creamers have it! Eating less processed foods is an easy way to avoid it. I buy the product with the least number of ingredients and eat as much fresh, unprocessed meals as possible. Pick up the book The Whole Truth Eating and Recipe Guide by Top Chef and nutritionist Andrea Beaman. I am challenging you to try this for a week. If you don’t decide to boycott high-fructose corn syrup completely, at least become aware of how prevalent it is and how much better off you could look and feel without it. This is one more step towards living well! My Mission: To achieve total wellness through natural health lifestyles, allowing each person we connect with to live a long, healthy, active life. This means we will provide quality individual care by focusing on your specific health concerns in the spirit of total care: Mind, Body & Energy. True balanced health: Simplified & Achievable.